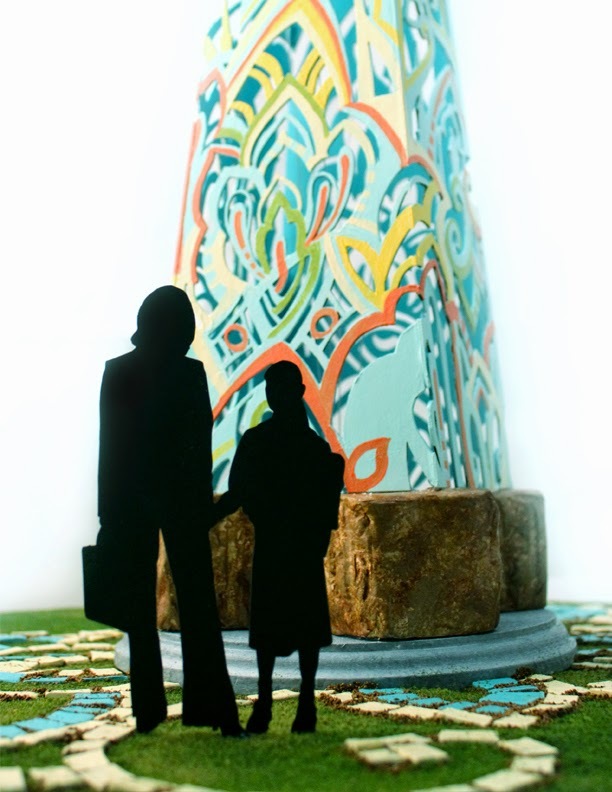 My vision is to create an obelisk gateway land marker inspired by the historical architecture that surrounds the community. The steel structure is 12ft by 6ft. The color scheme is to enlighten the neighborhood throughout the year. As the seasons change the sculpture will always be bright and vibrant emitting positive energy. 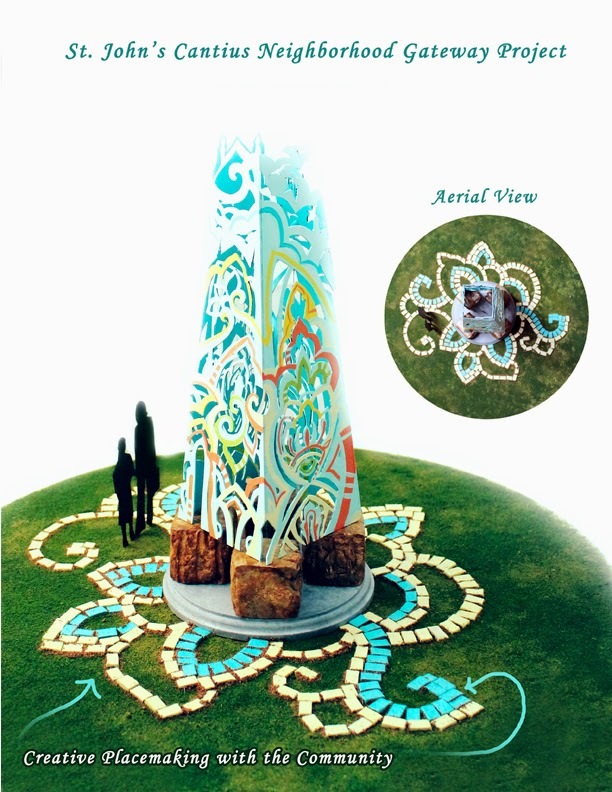 This is just the initial design to give you an idea of what the final sculpture will look like. As I attend community events and meet local community leaders the design will evolve and change. For the community component I will organize a creative placemaking Brick Painting Event. The community will be able to participate by painting bricks and write inspirational words about what community means to them. All of the bricks painted by the community will be incorporated into the final landscape design. 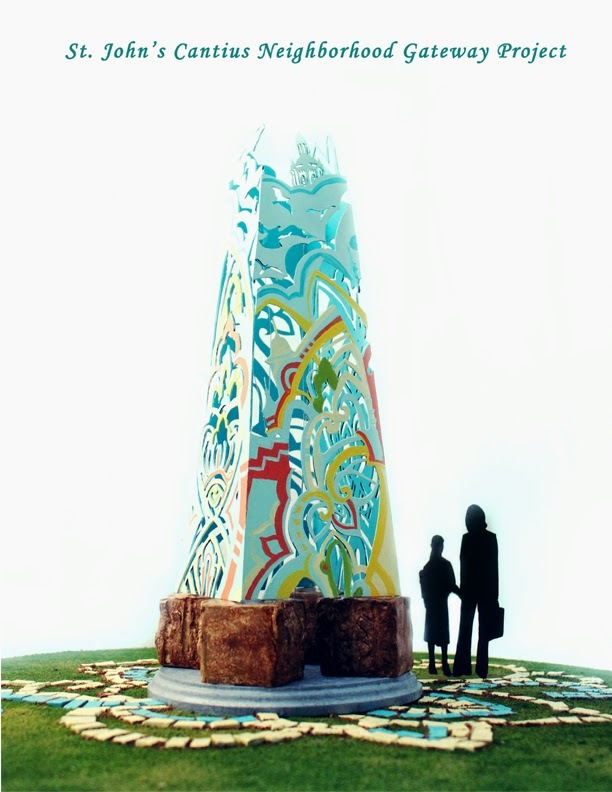 The sculpture will not just be a public art piece but it will symbolize our community. The community’s voice will be visible even from an aerial view.